The novelties presented by ITT Ceramic at Cersaie respond to the most fashionable trends. 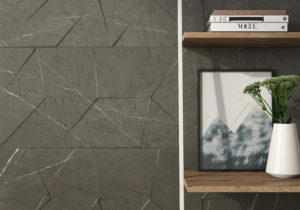 The more than 25 new ceramic series created recently, together with 10 new proposals by Arklam Super Size, reflect the richness and variety of natural stones, the excellence of marble, the forceful texture of cement, the nobility of wood and the industrial aesthetics of metals, thus covering, with almost 150 new models, all the requirements of today’s interior design, decoration and architecture projects. Londra is the latest trend due to its geometric reliefs, which allow volumes to be combined to create an effect that is as natural as it is innovative. Manufactured in 40×120 format, with a matt and rectified finish, this series has coordinated flooring in 60×60 and in grey and beige colours. Londra stands out for its exceptional technical and aesthetic characteristics, as it faithfully reproduces one of the most refined and classic marbles that exist in Tuscany, the Cipollini marble. The precision of its veins and the realism of its tones are the basis of this collection designed for high decoration, available in three elegant colours: white, beige and grey. 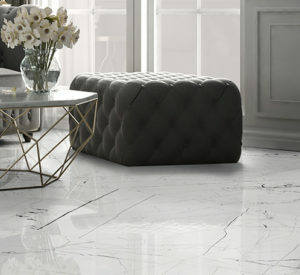 Londra is another of the new models in the Arklam Super Size Collection, which stands out for its exceptional technical performance and outstanding aesthetics, as it faithfully reproduces one of the most refined and classic marbles that exist in Tuscany within the family of Cipollini marbles. 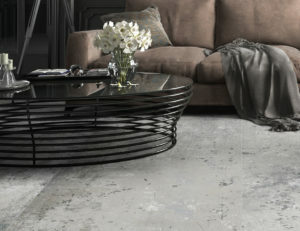 The precision of its veins and the realism of its shades are the basis of this collection designed for high decoration. Londra comes both in 1000×3000 format in 6 mm and in 1500×3200 with a thickness of 12 mm. 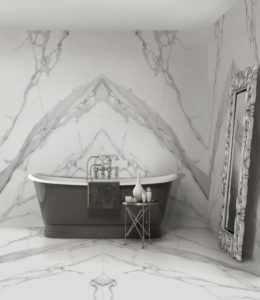 With regard to the 6 mm model, it should be noted that it is a creation that bears the natural elegance of marble, that sees the light with four different designs and with Silk finish, being the perfect material for sophisticated projects that require high technical and aesthetic features. For its part, the model in 1500×3200 format and thickness of 12 mm stands out as a novelty for its polished matt finish, which simulates marble effects with a very defined graphic. 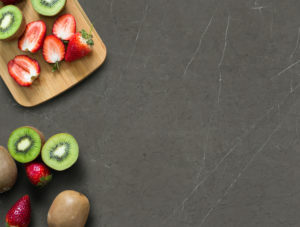 Available in Grey colour, this large format sintered ceramic proposal, as light as it is resistant, is perfect as a kitchen worktop or as a multifunctional table, among other applications. Palisandro has been one of the great bets as far as the novelties that Arklam Super Size has presented in Cersaie 2018. Palisandro is a faithful reproduction of the marble in which it is inspired, one of the most appreciated in the world for its scarcity and value. 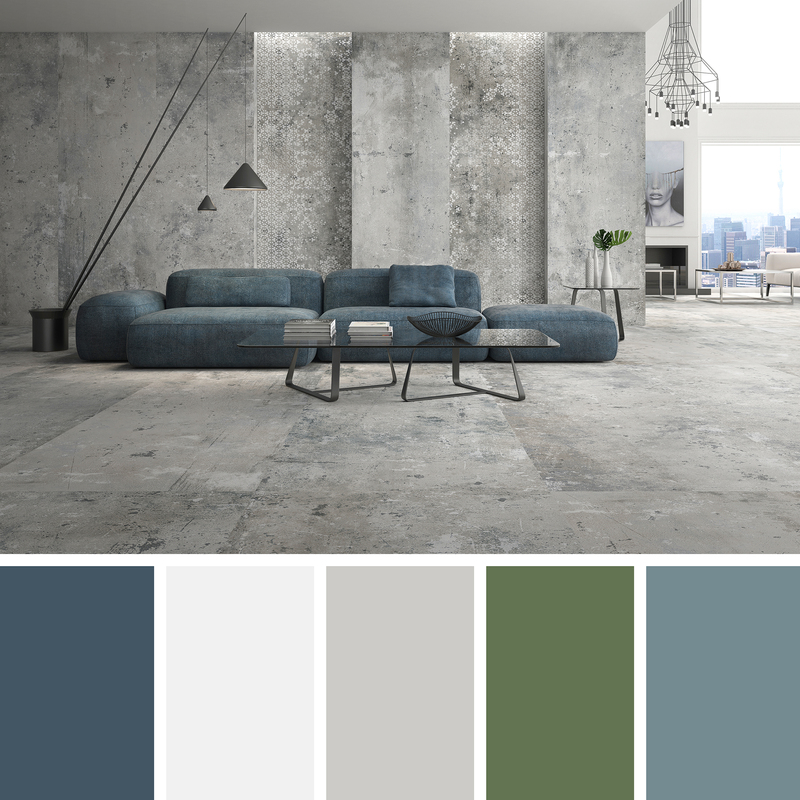 The richness of its tones, originated by a subtle degradation of blues and greys, together with the tiny golden tones and its spectacular brightness make this model a unique creation. However, Palisandro is exceptional for presenting an ‘end match 180º finish, both in 6 mm and 12 mm, as the design of the piece creates an infinite effect by alternating successively a piece in the original position with another piece with a 180º turn. In this way, the visual continuity that can be obtained is inexhaustible. With its two thin thicknesses, Rosewood is a sintered ceramic for multiple applications, such as for kitchen countertops, due to its high resistance to scratching, high temperatures and thermal shocks; its hygienic qualities, as it is a compact and non-porous material; and its simple cleaning. In addition, it is a product that is totally respectful of the environment, both from the point of view of its manufacture and its maintenance. Napoli is an unusual and exceptional ceramic creation that takes us into the history of Pompeii, the legendary city of Campania. 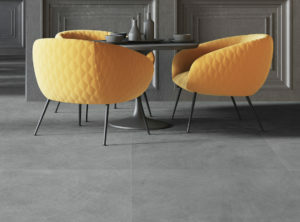 This coloured mass porcelain is available in two formats (75×75 and 37.5×75) and Pearl and Grey finishes. ITT Ceramic has also created a non-slip version for the larger format. 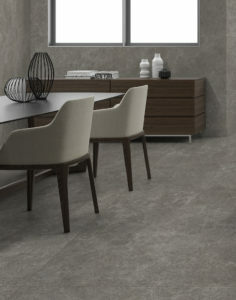 This porcelain floor is a cement with stone inlays unique for its realistic finish, soft tones and silky feel. Due to its qualities, it is a perfect product for both interiors and exteriors. Pompeia is a renewed version of classic cement, accompanied by an ornamental decoration with a modern image. This new model in the Arklam Super Size collection evokes the passage of time, recalls historical traces and blends trends to result in a perfect fusion between the ancient and the modern. 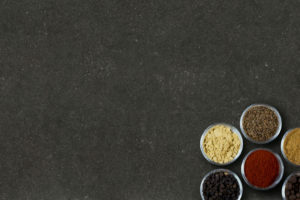 Another of the relevant qualities of Pompeia is the load of technical innovation that is implicit, because, using the latest technology prevailing in the ceramic industry, subtle effects have been created that provide light to the matt piece. This model has eight different designs for the basic pieces and two designs for the decoration, adding versatility to the ceramic game. The 12 mm collection of Arklam Super Size incorporates another classic, Pierre Bleu. Inspired by the natural stone of Belgian origin known as the ‘little granite’, Pierre Bleu is a simple and apparently neutral ceramic proposal in which slight traces of marine fossils can be appreciated. There, apart from the depth of its tone, lies its originality. This quality, together with the use of the most avant-garde technology, allows us to enjoy today a model with a high degree of realism and an unsurpassable definition. Due to its resistance, lightness and durability, Pierre Bleu is a material suitable not only for kitchen countertops, but also for covering counters, partitions, tables, doors and all types of furniture. After the success achieved by Atlantis, Arklam Super Size now incorporates two new proposals that expand this model, which has been so well received in international markets. Both Atlantis and Atlantis Gold are part of the large-format sintered ceramic collection Arklam with the new ‘open book’ version, in 12 mm and in Polished and Silk finishes. Both models recreate the ‘book matching’ effect, which is generated from two contiguous pieces that reflect each other as if they were an open book. With this practice, in full swing due to the continuous demand for ceramic marbles, the result is elevated to the category of art. The ‘open book’ effect is now indispensable as a technique in the fields of interior architecture and decoration when it comes to materialising unique and exclusive projects. 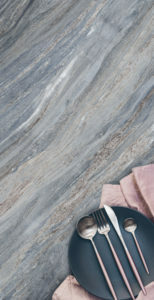 The design of these new models, especially suitable for kitchen worktops, has resulted in technically perfect marbles in which contrasting veins, illuminated nuances and minimal details are the main protagonists. Pandora represents the passion for white marbles in its purest essence. This model has been conceived from a deep study of the most current trends, which bet on turning the classic into avant-garde, from a design taken care of to the millimeter. The result, maximum originality in a model whose shine effect is highly appreciated in high decoration and in projects that seek exclusivity and differentiation. In this reinvention of the marbles of northern Spain, the purity and light of white are combined with lines arranged in a seemingly random way in a perfect union. Pandora is available, on the one hand, within the Arklam Super Size Collection, in 1000×3000 format, slim thickness (6 mm), polished rectified finish and with four designs that combine with each other. 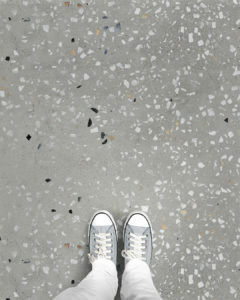 On the other hand, Pandora also shapes an exclusive large format porcelain floor (100×100) with a polished finish. Black Silk, White Silk and Grey Silk make up the Basic Line monochrome range. They are the classics among the classics, those that remain unchanged over time, those that do not go out of fashion. 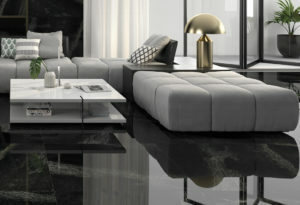 Elegance and exclusivity to dress floors and walls in all types of projects that require the most demanding features. Because of their large dimensions, lightness (6mm thickness) and resistance, these models are especially suitable as flooring and/or cladding in all types of interior rooms, for installation in ventilated facades or for rehabilitation actions, since they can be applied to the existing surface, with the consequent saving of time and costs. Arklam Super Size Collection continues to grow and among the new models in the catalogue there is an original proposal with a granilla finish that stands out for its serene beauty. Sidney Moka Natural presents two large formats (1000×3000 and 1500×2600) and a thickness of 6 mm and is especially suitable for covering floors and walls in all kinds of projects, as well as for use in ventilated facades. In this sense, it is worth remembering that Arklam has its own system of placement on facades with four typologies (Chemic, Staple, Plus and Plus Scaled), which facilitate installation and promote time and cost savings. These systems, combined with Arklam cladding, give the complex an important added value as an innovative construction solution, especially in terms of durability and energy efficiency. Sidney is a stone with a natural, extremely realistic and neutral aesthetics, which is undoubtedly destined to become an icon. 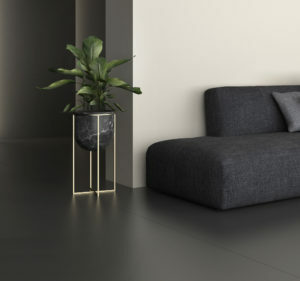 Artic Black is a spectacular large-format porcelain with polished, matt and grip finishes, which has been conceived taking as its inspiration the stones formed by minerals such as quartz or muscovite, with their characteristic thin sheets, sinuous movement and intense black tone. 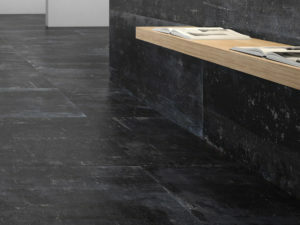 Artic Black reproduces the texture of a unique material, which is also found naturally in the Arctic, where it is an indissoluble element of the millenary tradition of its inhabitants. The use of the latest technology and the inclusion of grains to create different veins allow the stone material to be simulated as never before. Caledonia is a perfect model for covering floors in large spaces, which stands out for its excellent matt gloss effect. ITT Ceramic offers the possibility of combining this porcelain floor covering with a coordinated white body covering in 40×120 format. Inspired by the classic brown granite from Brazil, Caledonia is strength, exoticism and softness at the same time. A granite that transfers the elegance of the usual architecture to the most avant-garde and demanding projects. A legacy of beauty and endurance that since ancient Egypt continues to be highly valued by architectural professionals around the world. Caledonia invites us to turn our gaze towards nature in its pure state. The studied game of random veins makes this model a classic that transcends the minimalism and fleeting nature of contemporary ceramic proposals. With its spectacular veinage and an unusual combination of stone wefts, Geo is inspired by the authenticity of volcanic stones, such as obsidian or Obsidian rock, to generate environments in which ceramics become the absolute protagonist. 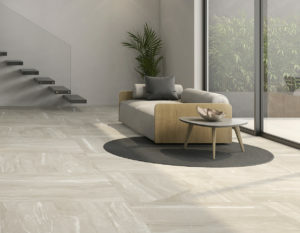 Geo is available in porcelain, format 100×100, matt and grip (ideal for high-traffic spaces); and in coloured mass porcelain, formats 75×75 and 75×150, with matt and grip finishes, rectified, and in Grey and Pearl colours. This series is completed with a coating in white paste, 30×90, in matt finish and in Pearl and Beige tones, with coordinated flooring in 60×60, also rectified. Like the material of natural origin that inspires it, the volcanic stones, which evoke the lava rock born of fire, Geo is characterized by its imposing presence, but above all by its high consistency. A collection that enhances the subtle stony elegance, deploying its network of veins to fall in love with decorators and interior designers. Pollock presents a new finish that surprises with the effect of bas-relief strokes and gloss. Creativity and art are combined in this exceptional porcelain. With a cementitious base, a marked minimalist character and industrial aesthetics, Pollock is a tribute to the brilliant American painter, an emblem of abstract expressionism. Just as his works go from conventional names to numbered, this outstanding model represents an artistic journey from chaos to order that allows us to contemplate pure ceramics. Ash returns in a deeper version with a worn look and an industrial look full of personal sobriety, because black is still the king of colours. 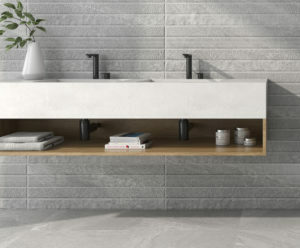 This porcelain is the antithesis of its predecessor, Ash White, although it shares with him the wake of the vintage trend and industrial aesthetics that have turned worn cements into protagonists of the most avant-garde spaces. 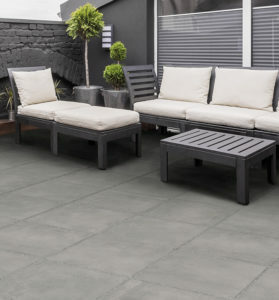 The ceramic effects used, its three formats and rectified finishes simulate real cement with absolute precision and make it a reliable bet for interior designers and decorators. Cannes is back in a 2-centimetre version in coloured mass porcelain. This model is distinguished for being an architectural solution of maximum level for the installation on grass or on stones, with adhesive and as elevated pavement. Total trend on a cementitious base, with an urban and industrial aspect for all types of architectural projects that require a linear character and precise visual continuity beyond any horizon. Intense and neutral at the same time, with its concrete effect, Cannes is perfect for architecture, decoration and avant-garde interior design. The 2Dos porcelain collection grows and welcomes Mariella, a model born as an evolution of the mythical Pierre Bleu or Blue Stone. This coloured body porcelain with anti-slip properties is available in multiformat (24”x24”, 12”x24”, 12”x12”) and, as a novelty, the pieces are supplied in a box combined with these formats. Mariella Grey Grip Mix didn’t go unnoticed at Cersaie 2018. The collection to which Mariella belongs, 2Dos, has important advantages, such as high resistance to thermal shock, frost and chemicals, as well as being non-slip and very easy to install and clean. The 2D models can be installed in gardens, industrial areas, terraces, public parks, walkways, beach resorts, swimming-pools, etc. 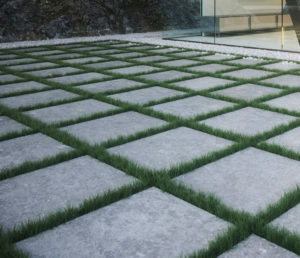 The installation, can be carried out on grass or on stones, with adhesive or as a raised paving.